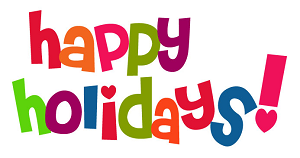 Are you celebrating or have you celebrated any holidays this December 2018? Of course, I got to spend it with family. Christmas day is also my lola’s birthday. Happy birthday lola Victoria! Describe your typical holiday celebration. Food, lots of food… I’m very fond of crispy pata, it’s a Filipino dish, a deep-fried whole pork hind with its knuckles and all. Now tell us how you really would like to spend your holiday season. As is, if there is one thing about us Filipinos is, we are very festive kind of people. We sure love to celebrate. This time of year, broadcast TV is filled with Christmas movies. What is your favorite Christmas movie? Does your place of work do a gift exchange or secret Santa? Do you participate? What gift did you buy to giveaway this year? What gift did you get? I love secret Santa! Too bad I am unemployed right now. Love it Mr A, and every trip I’ve ever made to the Philippines I’d agree that people are very festive. I love it, and I want to go back soon. Thank you! Im glad to know that you like it here. Merry Christmas! 🎄And Happy Birthday Lola! Glad you got to spend it with family. Personally, I’d have to go with naughty.